Our retrospect of the year comes with a small delay this time – the reason for that you will find at the end of this letter. 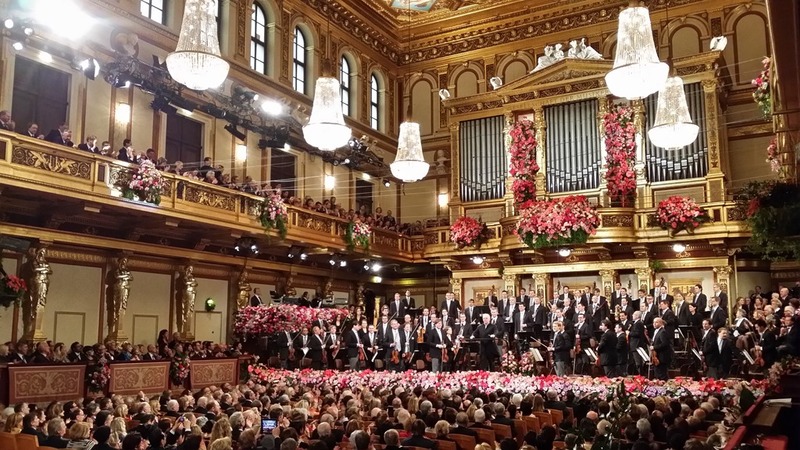 It was the fourth time that we attended Live in the Wiener Musikvereinssaal when the Vienna Philharmonic Orchestra together with the conductor Franz Welser-Möst like in 2011 welcomed the New Year. We are indeed a little bit proud of this elegant, sensitive and at the same time spirited Austrian conductor, to whom we could express our appreciation also personally. Already in March we experienced another musical highlight: the Beethoven Festival in Warszawa – brilliantly designed and organized by Elszbieta Penderecka. Every evening we could listen to classical music, presented by selected artists. The concerts were all followed by receptions for the circle of friends of E. & K. Penderecki, to which we also belong by now. Especially impressive was for us the reception in the Russian embassy – a sumptuous building on a huge property in a for Russia rather delicate territory. This was expressed very clearly by the Russian ambassador in a personal conversation. The reception in the German embassy had an extremely positive impact on us. In a modern building with tasteful interiors the German ambassador, Freiherr von Fritsch succeeded to create a wonderful atmosphere and to illustrate that Krzystof Penderecki spent some very important years of his life in Germany, which obviously contributed positively to his personal development. All guests admired the fact, that he could articulate all this without a manuscript and in fluent Polish. We came much closer to the music and to the personality of Krzystof Penderecki and we got acquainted to a number of interesting people who share our feelings. In May we were attracted to Krakow – a pearl of Old Austrian-European cultural sites. The cause was the inauguration of the “Europejskie Centrum Muzyki Krzystofa Pendereckiego” in Luslawice. We as new supporting members of “Music Unites” looked with awe at the building which will also serve as an educational home for young artists. We enjoyed a magnificent opening concert. Krszystof Penderecki guided us personally through his arboretum with 1700 trees of various species, the Latin names he knows literally of all of them – we will never forget this as well as the very intimate dinner in his private house, where Elszbieta hosted us in her more than convincing and warm-hearted way. In November it was again „Penderecki pure“. 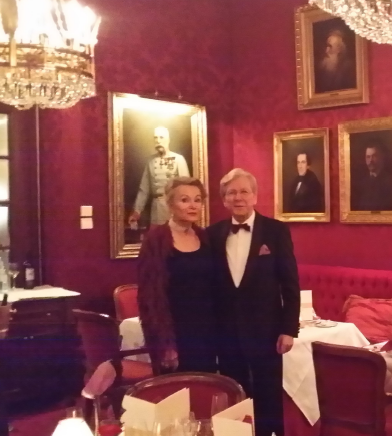 We celebrated Krzystof’s 80th birthday! 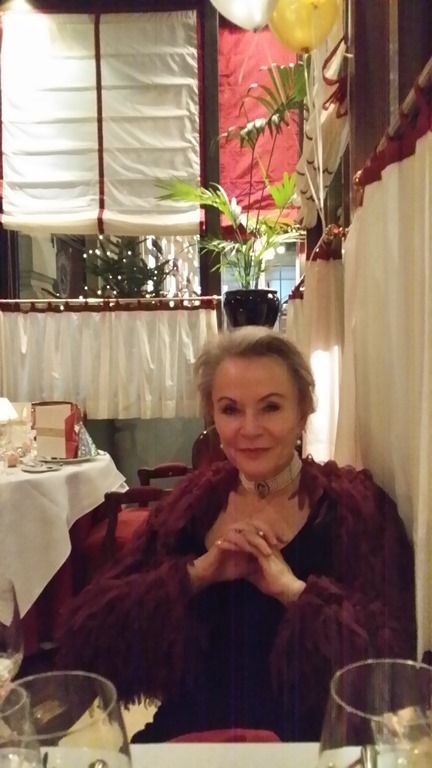 Every evening we had a concert in the Philharmonic in Warszawa, this time from all creative periods of the maestro. And again there was a wonderful reception at the German embassy. 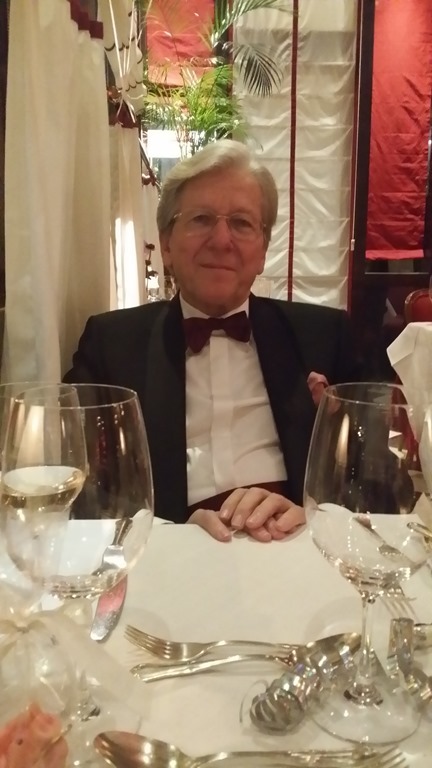 Freiherr von Fritsch – this brilliant diplomat – congratulated eloquently and raised his glass of champagne together with all guest at midnight to the wellbeing of the jubilarian. Amongst the audience with many prominent people we saw Anne Sophie Mutter, who expressed her high esteem for the composer in the liber amicorum by explaining that it is much more demanding and risky to become a composer than a violinist, which was the original plan of Krzystof Penderecki. The authenticity of this exceptional man in his music and his personality is what impresses us most. The number of congresses we attended this year was rather limited. ESPCI in Istanbul end of May and EFAS in Budapest offered opportunities to meet with old colleagues, acquaintances and friends – we like to remember the dinner with Georgina and Stephen on the roof terrace of the spectacular Swiss Hotel and a series of other cozy encounters enjoying local food and fine wines. These two congresses offered the chance for Monika to present on the topic “Time for Paradigm Change in Clinical Care”, which she repeated in our Live Online series of PORA seminars on June 9th. Another reason to celebrate was the 25 years anniversary of the Institute of Audiology and Hearing Rehabilitation in Moscow. Prof. George A. Tavartkiladze, who celebrated a round birthday a couple of weeks before, was the focus of this event – as the founder of the Institute, as the mentor of neonatal hearing screening and the cochlear implant progamme – not only in Russia but in many other Russian speaking countries. Friends from all over the world travelled to Moscow to honor the “Imago of Audiology in Russia”. When we heard the song “As long as the candle burns..” at the end some of the friends were moved to tears. Monika gave another presentation “CI – 30 years of continuous change” on the occasion of a workshop “2 are better than just 1” in Warszawa in November, where Sandro Burdo convincingly advocated in a professional and humanitarian way the bilateral / binaural provision for children with a severe hearing loss. Our PORA educational events Live Online attracted an increasing number of participants from various countries, due to interesting topics and excellent speakers. Our charity action “used speech processors, which are not needed any longer” for children with CI in Armenia also continued successfully (an “official” handover is planned for the near future, whereby the children received their processors already before Christmas). We could help the little boy Faruch from Tashkent, Uzbekistan to get a Cochlear Implant system. It was a more demanding project than we thought. We had to fly him with his family to Almaty, Kazakhstan for the surgery and to Moscow for the first fitting. But, the effort was worth it. Thanks to the organization “Ein Herz für Kinder” and Dr. V.B., the surgeon from Moscow, who performed the surgery free of charge in Almaty and the fitting in Moscow. Before the year 2013 came to an end we made the decision to provide a traditional and legal basis for our five years lasting togetherness: Voilà, we will get married on January 7th 2014!